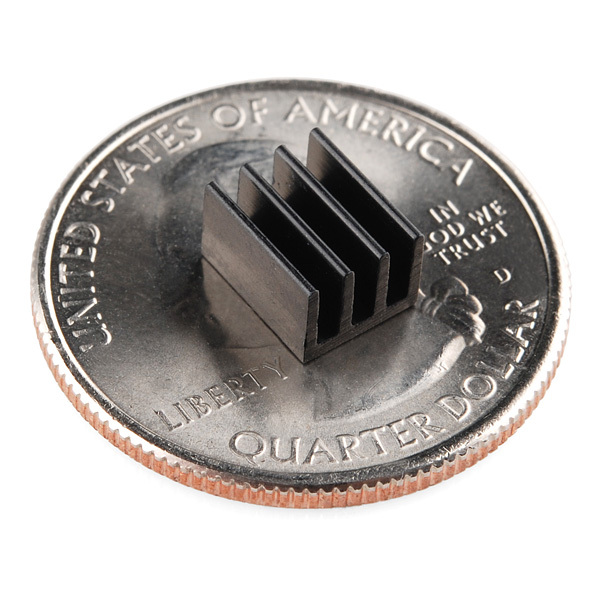 These tiny little black anodized heatsinks are perfect for cooling off small surface-mount components such as the Allegro A4983 stepper driver. Do you recommend its use for Raspberry Pi? How are these attached? Received them but there is no adhesive of sorts. Did you attach it to the chip itself? Or the underside? heat sink tape is like 2 sided tape. it can be applied to either heat sink or chip first. It is easier to put it on the heat sink and trim it first. Thanks. I ended up getting some thermal adhesive! Works well. A little bit short to properly sink the Pololu DRV8825 but it should still work. For the price I'm a little upset that it does not have heat sink tape with it. This is a great idea for a current heavy H-bridge motor driver. Need to get these back in stock. Would this sink the raspberry pi? 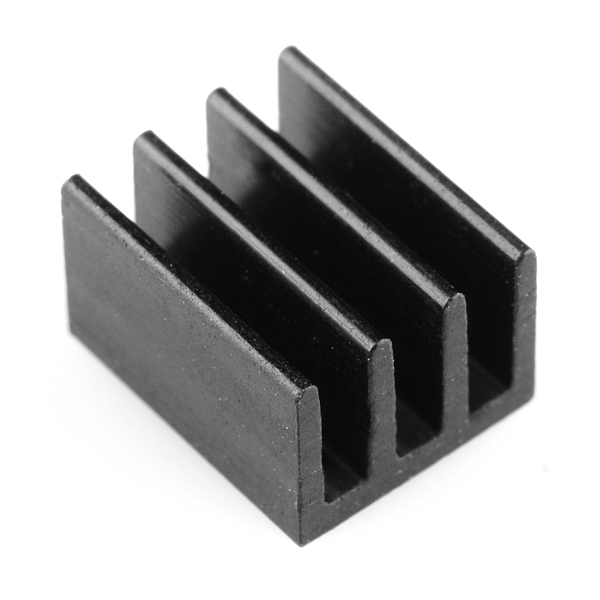 Robert suggested that they might carry a heatsink specifically for the raspberry pi.